It is not that big of a secret that small and medium businesses operate on very tight budgets. 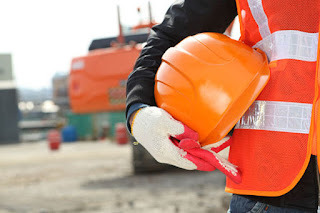 Such circumstances almost always require compromises, which are, more often than not, made at the expense of employees’ safety and overall well-being. Unfortunately, such compromises can have fatal outcomes. Even if the human casualties are avoided, according to US FEMA (Federal Emergency Management Agency) 40% of businesses never reopen after facing some sort of disaster. Let us see what you can do to avoid these grim outcomes and keep your business, and your employees, safe from any kind of threat they may face. Majority of your premises’ vulnerabilities can simply be a by-product of their location. For instance, the area your offices are located in may be crime-ridden or experiencing frequent floods. Proximity to an industrial park may cause air or noise pollution. The chances are that you had neither time nor luxury to factor in all these variables before signing the rental agreement but better late than never. Use every opportunity to gather some piece of important info about your premises and their surroundings, and look for the suitable alternative the first time you notice something that may compromise your employees’ health and security. Ideally, fences should restrict the access not only to your premises, but also to their parking lot and storage areas. Pay special attention to areas that are out of public view and therefore more probable unauthorized access points. And we are not talking only about the motion sensors and braking glass detectors. Install fire alarms as well. If you cannot afford to cover your entire property, chose some less probable access points and cover them with dummy cameras instead. This is the issue where you should most definitely not make any compromises. Motion triggered lights attract a lot of attention and they can prove to be devastating for burglar’s moral. They go a long way in keeping the burglars outside the facility long enough for them to feel threatened and give up. Make sure that they are numerous and prominently displayed. You will prevent any kind of equipment malfunction that can lead to disastrous consequences. More often the better - Regular inspections can quickly uncover possible pipe leaking, issues with electrical installations, and sings of attempted forced entry. Establish a procedure by which your employees will be granted access to sensitive areas only after showing their unique ID cards, or entering their unique passwords. The atmosphere of secrecy is a fertile ground for troubles. Encourage the atmosphere in which your employees will feel free to speak about their mistakes that can have potentially disastrous consequences. This way, you will make sure that every procedure that you have put ahead of your employees will be as transparent and clear as possible. Written procedures will also serve as a great reminder and cut the possibility of excuses in its root. Finally, visual representation of some important safety procedures, like for example evacuation diagram, can be very handy in the time of crisis when more thorough explanations are not adequate. Although some of these moves may seem too thorough or too expensive you have to be aware that they are absolutely necessary. Do not take this matter lightly. Your employees’ safety and your business’s future are not something to be gambled with.